Bachelor of Computer Applications (BCA) – International at Asian School of Business (ASB) is a three years full-time degree course affiliated to Ch. Charan Singh University, Meerut with a unique international edge of learning from the best minds in the International Fully Paid Residential Workshop on Business of Entertainment at University of Southern California – School of Cinematic Arts Campus, Los Angeles, USA leading to international certification highly acclaimed in the media and entertainment industry worldwide. This course is designed and structured with intent to provide our students a dynamically stimulating environment, where the students can get transformed into highly skilled IT specialists. The curriculum has been designed to give the students an in-depth knowledge of various subjects related to Information Technology along with the basic concepts of management. The objective of BCA Programme at ASB is to produce outstanding IT professionals who can apply the theoretical knowledge into practice in the real world and develop stand-alone live projects themselves at local and global level across industries including the ever growing global entertainment industry. Major focus of this programme is on skill development for preparing corporate ready IT graduates who can practically apply their gained knowledge of information technology in business situations and event projects of the entertainment industry. The approach is more practical by the virtue of various value addition Labs and Clubs apart from the classroom studies. 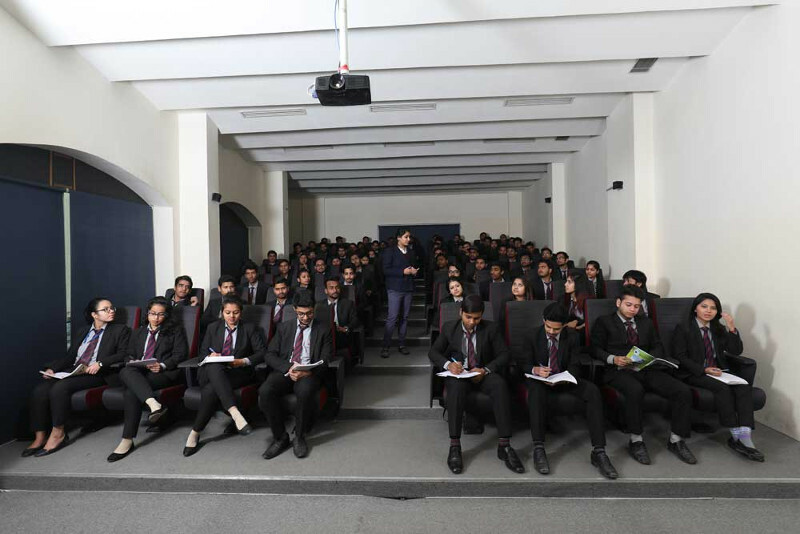 Students of BCA international will have a unique opportunity of attending an Exclusive workshop at USC-SCA Campus focused on specialized topics such as entertainment marketing, entertainment finance and business interest of managers. This workshop complements the lessons that the students learn during their classes of Diploma in Business of Entertainment. Students of BCA International program have an advantage when applying to jobs and internships in the entertainment industry because they acquire the ability to apply the skills they learn in the classroom to the real world through this workshop at USC-SCA. 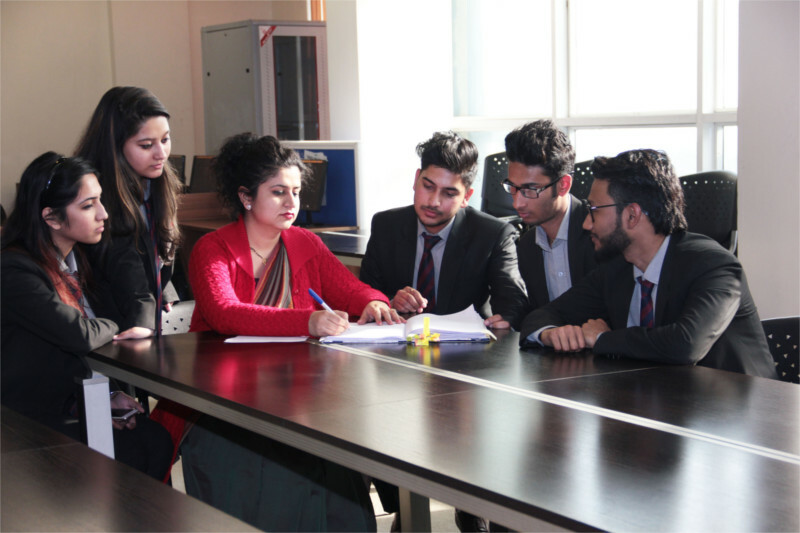 The evolution of teaching pedagogy applied at ASB makes the curriculum more dynamic as it incorporates not just learning through lectures but also applying the concepts with the help of Role Plays, Case Studies and other creative exercises. This undergraduate programme equips the students with an in-depth understanding of technical concepts coupled with intensive industry exposure. The course curriculum is designed after a deep analysis of the requisitions from the industry stakeholders and focusing on the industry expectations from IT professionals. The Programme also offers tremendous flexibility and learning opportunities through credit-based approach. The salient features of the programme include emphasis on enhancing the students’ soft skills and providing them with optimum industry interaction through varied initiatives. The additional advantage of this international program is the diploma in Business of Entertainment from AAFT coupled with the practical workshop on the same from USC-SCA Campus during a ten days fully-paid residential learning trip. The Diploma in Business of Entertainment from AAFT focusses on specialized topics such as entertainment marketing, entertainment finance and business interest of managers. Upon successful completion of all the courses and Workshop at USC – School of Cinematic Arts, students receive a Diploma in Business of Entertainment. Students who have earned this diploma have an advantage when applying to jobs and internships in the entertainment industry because they acquire the ability to apply the skills they learn in the classroom to the real world through workshop at USC-SCA. Media & Entertainment is no more a subsidiary industry, it has become a leader in the Indian market and is contributing substantially to the economy. Considering the growth and scope of the industry, there is an utmost need for trained professionals to become the growth drivers and achieve newer heights. The objectives of this course in entertainment marketing are to equip the participants with knowledge of the latest developments in the media and entertainment space and to keep them abreast on the trends in the buying behaviour of consumers as well as integrated marketing communication strategies of media and entertainment brands. India as a country is known as the fastest growing advertising market globally. This has attracted a lot of foreign investment. High foreign capital inflows have made this sector quite popular as an investment destination. Financing of media and entertainment projects involves project evaluation and determining the optimal way of financing a project selected after evaluation. This course aims at equipping the students with the tools and techniques of financial management and project evaluation which are essential for determining the financial feasibility of an entertainment project. This course encompasses the factors by which the entertainment firms are affected in terms of profitability and strategic interest areas like market share. The various agents involved in entertainment business and the inter relationship between their varied interests comes under the scope of this module. The business orientation of media owners and their relationship with other businesses bears an impact on the independence of media and entertainment. This aspect involving conflict of interest of business and society is also a dimension to be studied in this course. Asian School of Business offers this certification in collaboration with NIIT, aligning the challenges and requirement of the contemporary scenario. We wish to keep our students abreast with the latest technology in terms of usage and benefits of Cloud Computing in day to day functioning. This will also help them in gaining foundation to analyze applications in various organizations through Web Analytics and comprehend the relevance of Digital Marketing. To impart conceptual and practical knowledge of New Media Applications in today’s scenario, where right communication at right time through right mode of communication is vital for growth. This curriculum helps in imparting basic understanding of New Media by providing the students with a space to learn and experiment in a safe environment so that they can imbibe the required skills in order to become outstanding. Definition and Process of Communication, Importance of Communication, Types of Communication. Components of Verbal communication & Effective Speech, Conversation in English, Introduction to the Pillars of Verbal Communication. Definition of Personality, Corporate Theories on Personality Development, Evolution of Personality, Determinants of Personality, Personality Analysis, What Makes us Winners and a Winning Personality, Indicators of Positive and Negative Self-Image, Transforming One’s Personality. Understanding Attitude, Recognizing the importance and Power of Attitude. What and Why of Attitude Management, Ingredients of Positive Attitude, Developing and altering your attitude attributes and Self Evaluation of One’s own Attitude Triggers, Application of Principles that lead to developing a Positive Attitude. Enthusiasm- Meaning, Implications and Applications, Importance of Enthusiasm and Self-Assessment, Ingredients of Enthusiasm, Developing an Enthusiastic Approach Towards various life. Introduction to the concept of Self Awareness and its dimensions. Importance of knowing oneself and one’s own hidden potential, knowing one’s strengths and weaknesses, self-discipline. Understanding the concept of self-motivation, Need for self-motivation and Personal Effectiveness, Identifying one’s motivational factors, General Self-Motivating Tactics, Self-esteem, Components of Self-esteem, Self-esteem theories, Self esteem synonyms, Self esteem and the inner critic, Tools to Develop Self esteem. Self-confidence, How to help build, boost and develop self-confidence, Accelerating towards success through developing confident personality. Importance of Public Speaking, How to Prepare Effective Speeches, Strategies for becoming a better Speaker, Importance and Use of Verbal and Non-verbal Language, Preparing ppts, Use of Audio Visuals. Introduction to Stress Management, Reasons and Factors leading to Stress, Albrechts Four Types of Stresses and managing them, Various Action Based and Perception based strategies to cope with Stress, Tips and Tools for Managing Stress. Understanding and Identifying Different Personality Behavior, Importance and Meaning of Assertiveness, Developing Assertive Skills, Assertive Communication Techniques, Art of saying “No”, Introduction to Interpersonal Skills, Relationship Management Through Interpersonal Skills. Why, How and What of Working in Teams, Dynamics of a Team, Stages of Team Development, Attributes of a Successful Team, Communication in Teams- Conflict Management, Influencing and Persuasion, Problem Solving, Decision Making, Communication Strategies. Definition of Leader and Leadership, Leadership- Roles, Skills and Styles, Developing leadership Competencies, Attributes of a Successful Leader, Taking Personal Inventory, Becoming an Inspirational Role Model, Enabling others to Act. A systematic approach to Decision Making, Self Evaluation, Decision Making Model, Improving one’s own Decision Making Skills, Impact of Ethics and Values, Group Decision Making. Importance and Understanding of Creating First Time Impressions in different situations, Making Introductions, Creating Small Talks, Taking control of your environment to create Impressions. Importance of Listening Skills, Different Types of Listening Skills, Improving Listening. Relevance of understanding and appearing for different types of Interviews, Creating Impressions during Interview, Basic Interview Etiquette, Questions to prepare for Interviews, Common Interview Mistakes, Communication and Presentation Skills for Interviews. Nuances on understanding Verbal, Non Verbal and Written Communication at Workplace, Basic Corporate Etiquette- Business Cards, Handshaking, Holding Meetings and Conferences etc. What is culture, Importance of cross cultural awareness, Insight into how cultures differ on various social and professional aspects, Dealing and Communicating across various cultures. In this present era of liberalization and globalization, learning of foreign languages is an additional boost to an individual’s career perspective. Today with an increased and overwhelmed interaction in terms of business, globalization provides an opportunity to business firms to expand geographically by entering into new markets. This open market approach in turn has created a huge demand for the foreign language training to survive and give competitive edge to an individual’s personality. The current scenario unbolts entries of multinational business formats in developing countries that demands for best fitted personnel with exposure toward foreign language that will lead toward smooth operations. ASB caters its students with a Certification Program in foreign language specifically in French and German (any one), two widely accepted foreign languages. 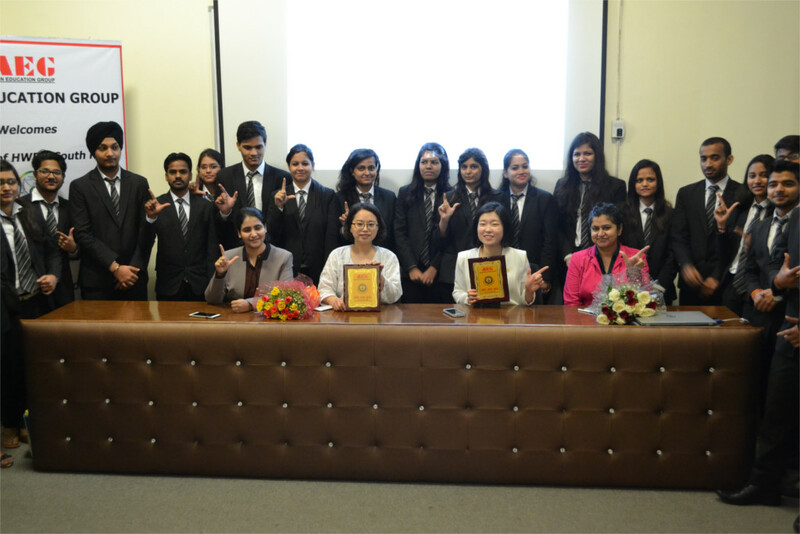 To provide students an exposure towards multinational companies. To make them learn and understand opted foreign language. To provide them competitive edge. To make them best fitted for globalized market. Nouns- singular/plural, Avoir- conjugation, usage, Numbers from 21-100. Vocabulary Adjectives-singular/plural, Days of the week, Months of the year, General problem solving. 10 Day Fully Paid Residential Learning Workshop to Los Angeles, USA. Strong connect with corporate offering 100% placement assistance & Internships. Eminent pool of faculty members for mentoring & career development.